OneKind I Our Policies I Seal Shooting- is it humane? 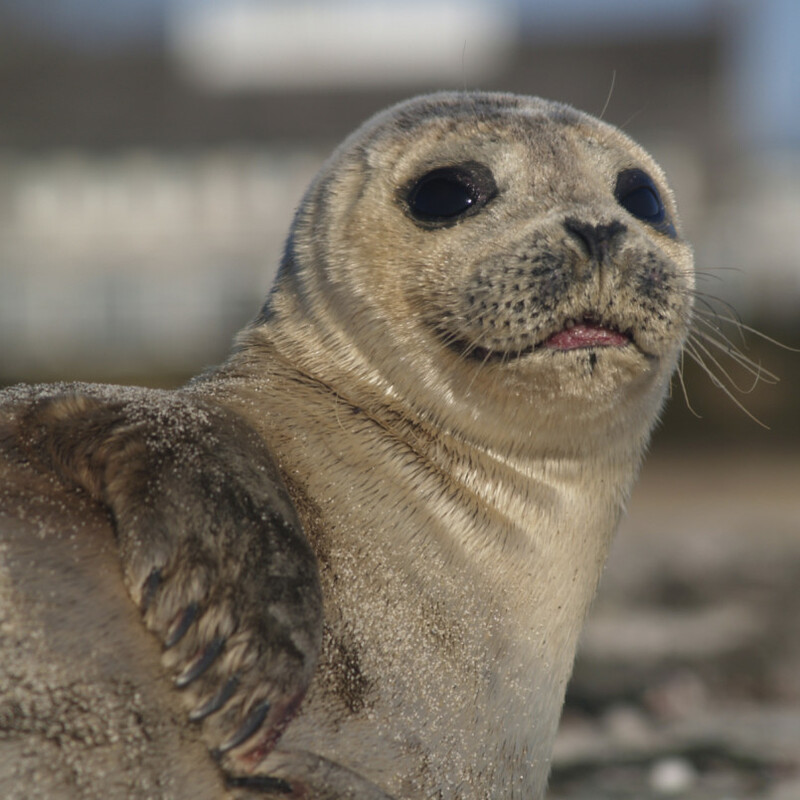 Seal shooting remains common in Scotland, primarily to protect fishery and angling interests. Since the requirement for licenses was introduced in 2015, ending unregulated killing, the numbers killed have been reduced, but it is still a major welfare concern. OneKind is urging the Scottish Government to ban seal killing, and in the meantime we are calling for a closed season of shooting to be introduced. There are two species of seal found in Scotland: harbour (common) and grey seals. Both species are shot by salmon farmers and fishermen because they are natural predators of the fish that they farm and fish. Between 2011 and 2015, 1531 seals were shot, and evidence suggests that these seals would have experienced a large amount of suffering . Following a major OneKind campaign, the Marine (Scotland) Act 2010 introduced a licensing requirement for seal killing. This has reduced the overall number of seals being killed, with 160 seals being killed in 2015, compared to an estimated 1500 on previous years [Figure 1]. Whilst licensing has reducing the level of killing, it has done little to prevent suffering of those seals that are shot. Research shows the extent of this, with post-mortems showing the suffering that these seals have faced. It shows that seals have been shot in the water, a practise that experts have described as never being humane, due to the prolonged death and increased risk of injury it creates . It also shows that pregnant seals have been shot, with 35% of necropsied seals being pregnant grey seals, and that lactating mothers have been shot. This means that killing some seals results in the death of pups, as orphaned pups starve to death without their mothers. Finally, the research showed that seals are suffering prolonged deaths. These include multiple gunshot wounds, suggesting that the first shot was not fatal, as well as a seal who was shot in the neck, and another in the mandible, both of which would also not have been fatal. It is important to note that this research was only done on 40 post-mortems, and given that 1531 seals were killed between 2011-2015, the scale of suffering is likely to be huge. OneKind is calling on the Scottish Government to ban seal killing in Scottish waters by 2020. In the meantime, we are calling for a closed season of shooting to be introduced immediately. This would make shooting seals during the pupping season illegal and would prevent shooting from creating orphaned seal pups. Figure 1. 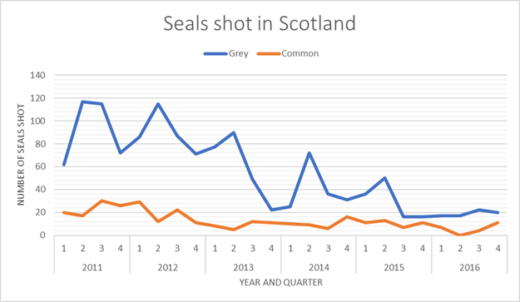 Number of seals shot in Scotland between 2011 and 2106. Reproduced from Onekind’s Parliamentary Breifing.